Our beloved Mattie Hudson was born on October 8,1930 and passed away on March 11, 2019 at the age of 88 years old. Mattie was born Mattie Beatrice Solomon in Shreveport, Louisiana to Nathan Solomon and Eliza Washington. She was one of four children born to the Solomon family. Her siblings were Mary Solomon, Emily Solomon and George Solomon. In her youth, Mattie attended Light Hill School and Central High School in Shreveport, Louisiana. In her adult years, she married Charles Hudson in 1959 in Chicago, Illinois. Mattie and Charles were married for 34 years before Charles passed away in 1987. During their marriage, they moved and settled in San Francisco where she joined and became a faithful member of Missionary Temple C.M.E. Church in 1967. Shortly after, even though Mattie and Charles had no children of their own, she embraced Charles’s son, her step-son. Willie D. Smith. Upon their marriage they were called to raise their nephew and niece, Alfonso and Kathy Panky and their grandchildren Evonne and Eustinove Smith. While being a devoted wife, grandmother, aunt and active member of her church, she worked and retired from Metropolitan Life Insurance after 26 years of service. After a brief retirement, Mattie then worked for the San Francisco Unified School District for 10 years before leaving the employment world behind. Two of Mattie’s most enjoyable past times included traveling the world and being active in her church. Mattie enjoyed traveling to many exotic locations like the Bahamas, Hawaii, Paris, Alaska and many other destinations. Her church involvement was very important to her. Mattie had a deep love and dedication to her church that she cherished until her passing. Mattie has touched so many lives during her time on earth. She is widely loved and will be greatly missed. Mattie joins her Father- Nathan Solomon, Mother - Eliza Washington, Sisters - Mary Solomon-Dock and Emily Solomon, Brother - George Solomon, Aunts - Annie B. Robinson and Luvenia W. Washington, Nephew - Raymond Dock, Jr. Step-Son -Willie D. Smith and Beloved Husband - Charles Hudson who have all preceded her in death. 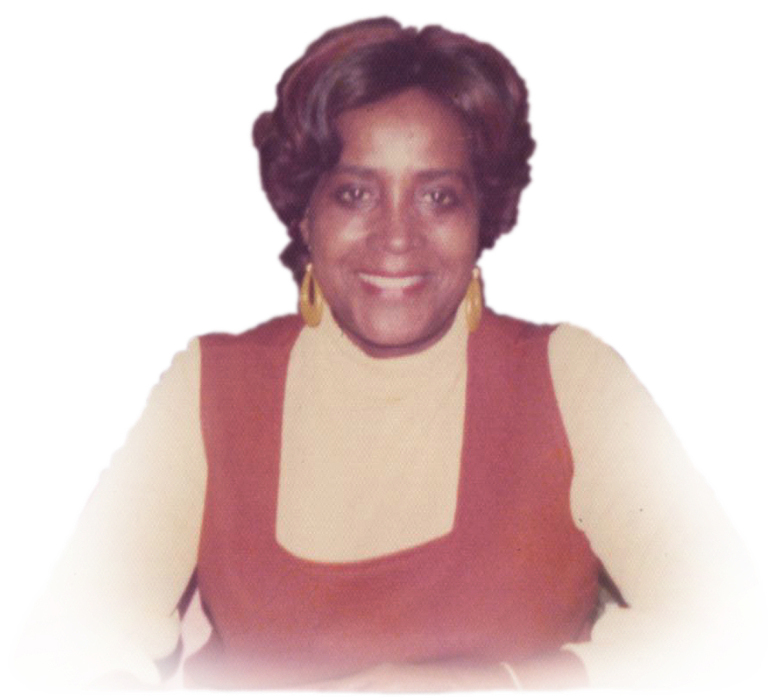 Mattie Hudson leaves behind her Grandchildren -Evonne Smith, Eustinove Smith, Nicole Fjermestad-Smith, Kendall Cantave, Nicole Hall-Smith, her Great-Grandchildren - Kyle D.Cantave, Malaya R. Cantave, Delvoun Smith, Emerald Smith, Eustinove “EJ” Smith Jr., and Ezrah Smith, her Daughter-in -Laws Janet Cady and Collette Fjermestad-Smith, her Nephews Cary Parks and Alphonso Panky, Niece Kathy Panky and a pleathora of other nieces, nephews, cousins and dearest friends in California, Texas, Louisiana, Illinois and across the nation.